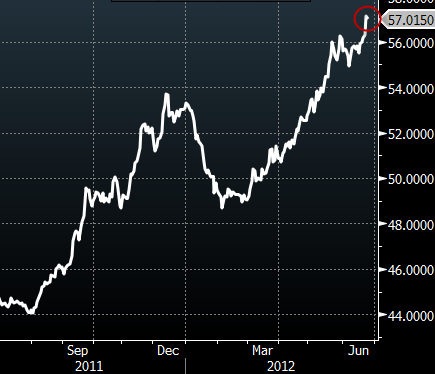 India's government took action today to stem the currency declines, as INR reached all-time lows on Friday. Reuters: India announced steps on Monday to bolster the embattled rupee, including a $5 billion increase in the foreign investment cap in government bonds, but disappointed markets hoping for bolder action to prop up a currency that hit a record low on Friday. The market pretty much shrugged it off, leaving the INR to USD exchage rate almost where it was before the new policy was announced. Too little, too late. Beyond India's economic deterioration, one of the things that's spooking investors (and keeping the currency weak) is the government's fiscal situation. With strong GDP growth, government debt levels looked acceptable. But the slowdown will materially increase risks to sovereign bondholders (particularly as RBI becomes a key buyer - remember subordination? ). 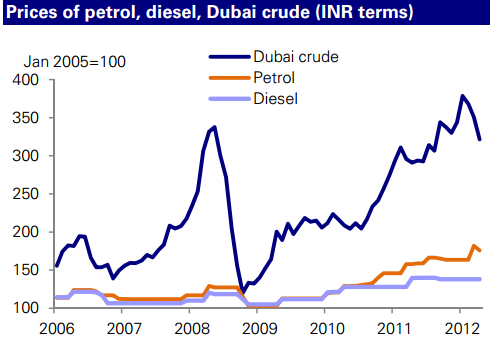 Deutsche Bank has proposed a good solution - cut fuel subsidies, especially for diesel, which is the most subsidized fuel. DB: - It is imperative that a fuel price adjustment is made to prevent serious deterioration of the fiscal outlook, which is under the scrutiny of ratings agencies. Policy actions to raise fuel price, expedite asset sales, pushing through some investor friendly reforms are needed sooner than later. Global oil price decline is a necessary but not sufficient development to turn around India at this juncture. India's government has been financing growing fuel subsidies, creating market distortions as the usage of diesel vs. other fuels spiked. Over time as government price increases failed to keep up with the market, the subsidies became ever more expensive, putting the government budget at risk. 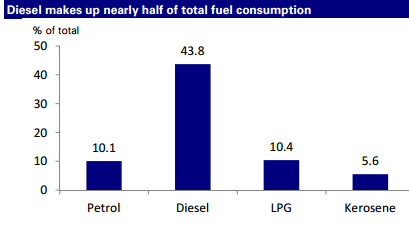 DB: - Diesel constitutes almost 55% of the fuel subsidy bill on an average, followed by LPG (25%) and kerosene (20%). Lower global oil prices will help to reduce the subsidy bill, but a weak rupee and rising consumption (in the absence of price hikes), will tend to dilute some of this beneficial impact and keep the pressure on the fiscal intact. In FY11/12, when real GDP growth slowed substantially to 6.5% (from 8.4% in FY10/11), fuel consumption growth in fact rose to 4.9%, up from 2.3% in FY10/11, led mainly by a surge in diesel consumption (7.8% vs. 6.8%). When price increases are not passed to the consumer, there is no incentive to decrease usage and subsidies can grow out of control (supply/demand fundamentals are out of balance). Here is an example. Remember the bankruptcy of Pacific Gas and Electric Company (PG&E) in California? Wikipedia: - In 1998, a change in the regulation of California's public utilities, including PG&E, began. The California Public Utility Commission (CPUC) set the rates that PG&E could charge customers and required them to provide as much power as the customers wanted at rates set by the CPUC. When the wholesale power price spiked (partially driven by manipulation - which would be much harder to pull off without the subsidies), the utility was unable to pass it on to the customer. And the consumer cranked up the power with little regard for the overall implications because power was so cheap. Subsidies forced on PG&E's ended up putting it into bankruptcy. Making cheap fuel available to the country at the expense of rising debt levels may look like a popular political solution, but it will not end well. A gradual reduction in these subsidies (as painful as it may be) will be critical to restore confidence. 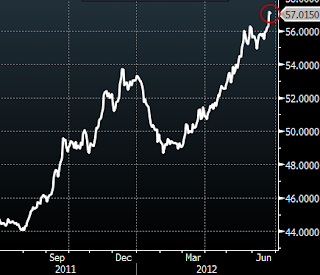 And while crude prices are subdued, this may be the best time to do it.